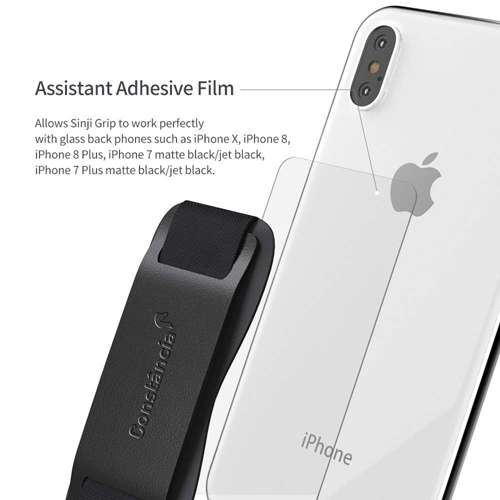 Leather Mobile phone grip and strap is a 2 in 1 product, which allows the user to grip the phone in a better way but the leather band is also used as a stand to make life more convenient. 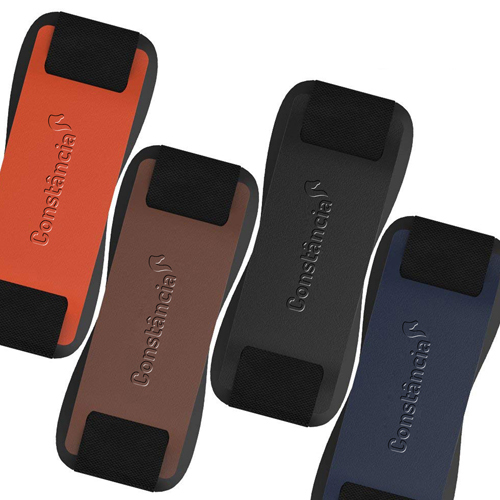 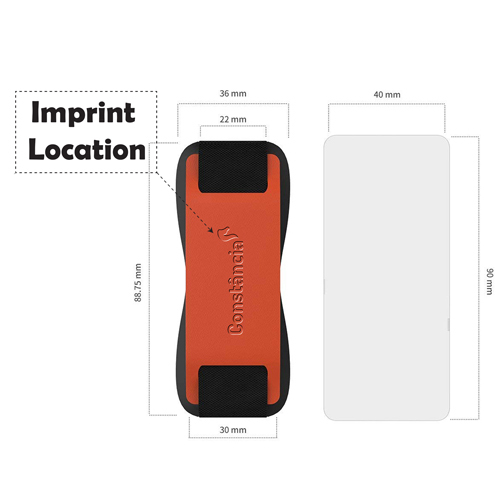 The grip prevents the accidental drop of the phone even while jogging, walking or any other activities. 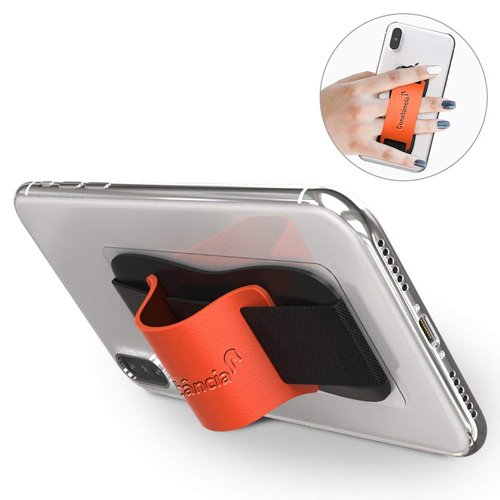 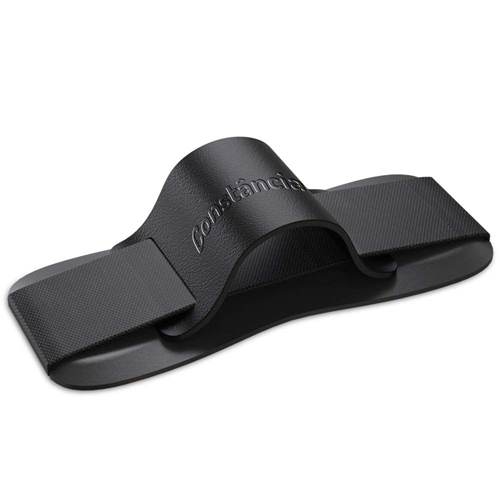 The elastic stand enables the best phone stand while watching movies, videos or reading a book with holding the phone. 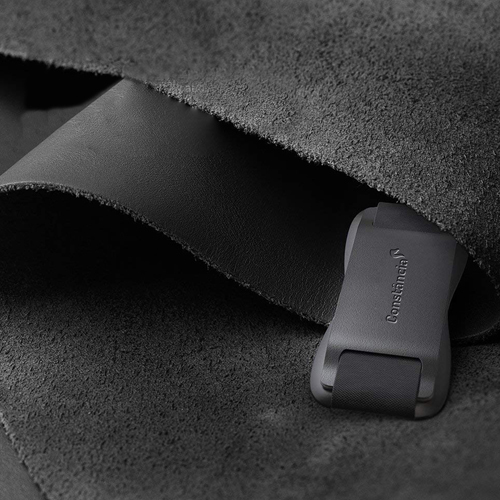 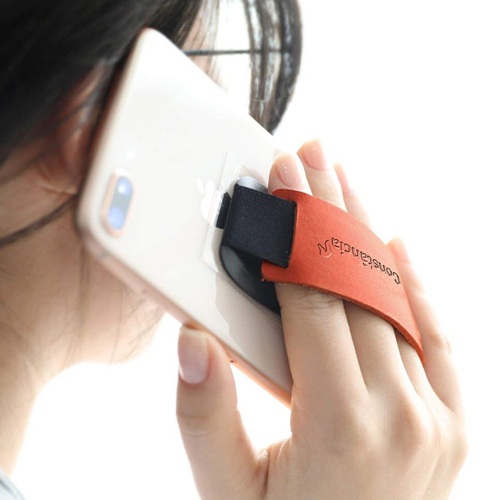 The user can insert their fingers inside the leather phone grip strap and carry on with their calls without slipping off easily.